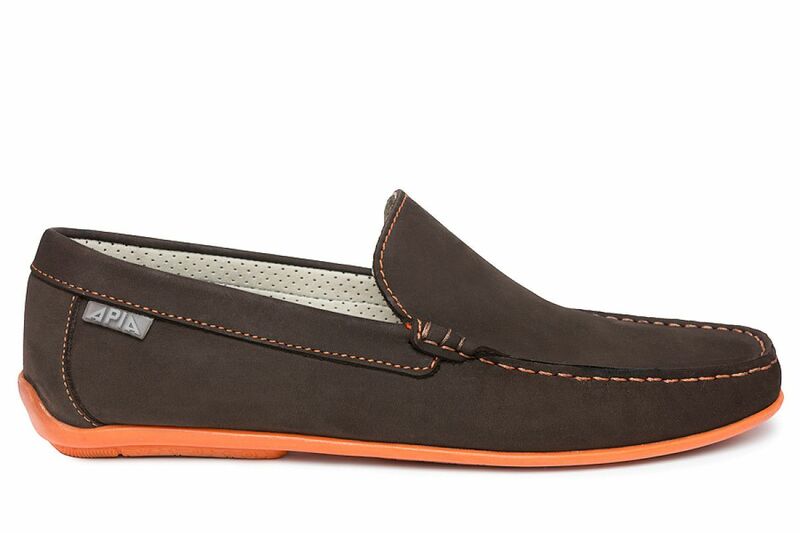 Brown loafers with an original orange sole. 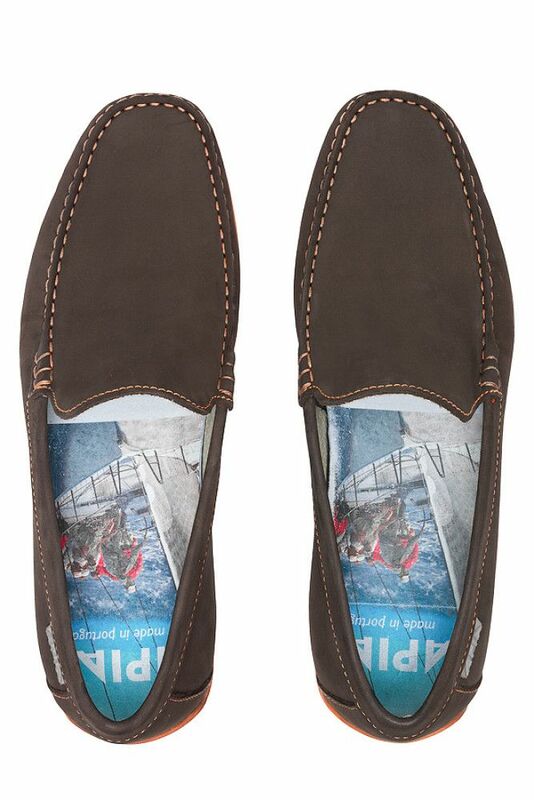 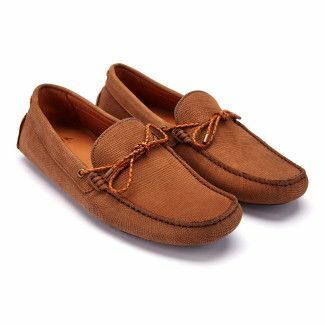 Comfortable and trendy loafers in an every-day casual style. 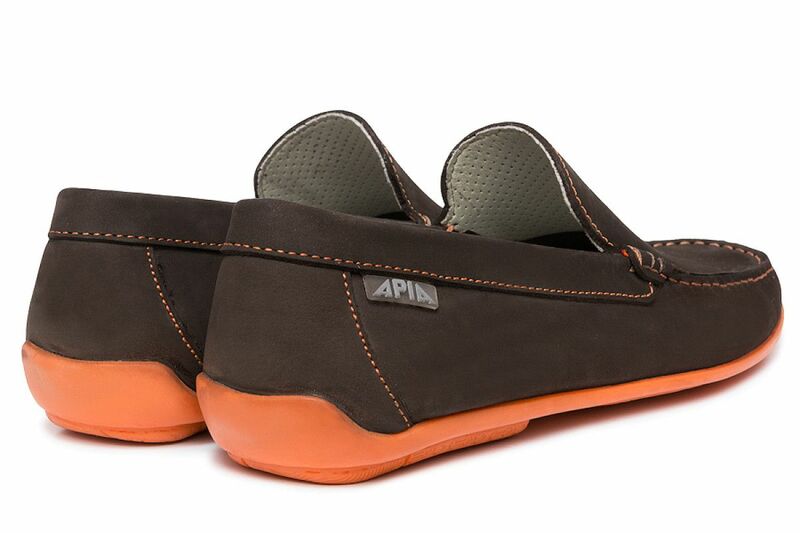 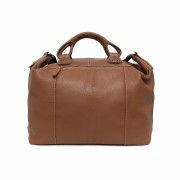 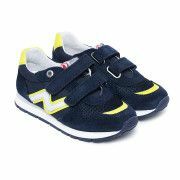 The upper made of breathable, nubuck leather. 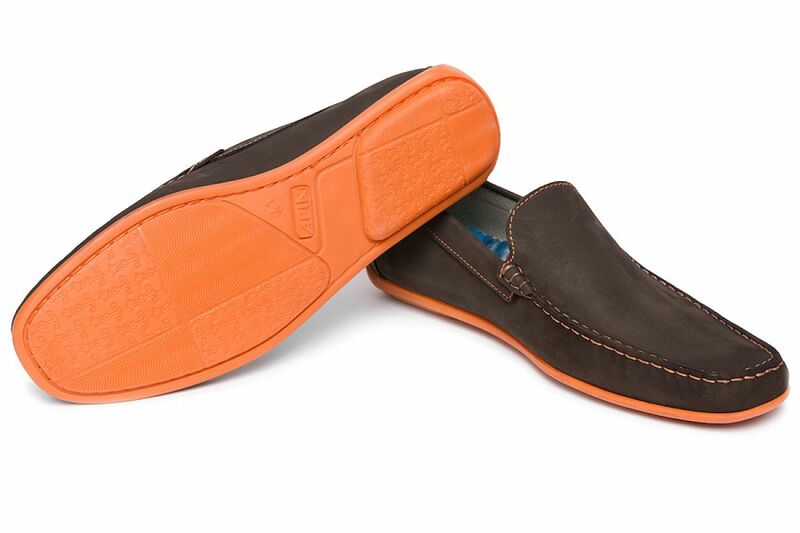 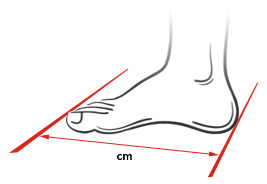 Flexible, comfortable sole. 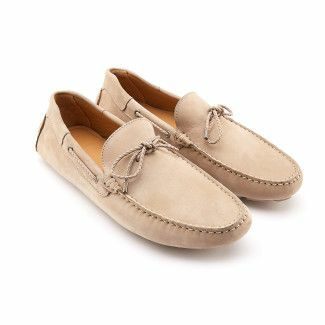 These type of loafers, called Driving Mocs, is perfect when travelling — excellent shoes for car driving and long holiday walks. 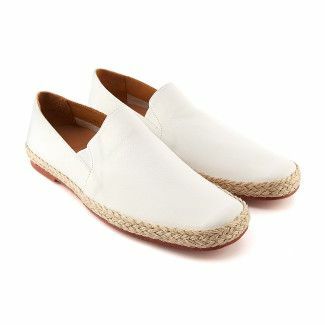 Comfortable shoes that are perfect for spring and summer season. 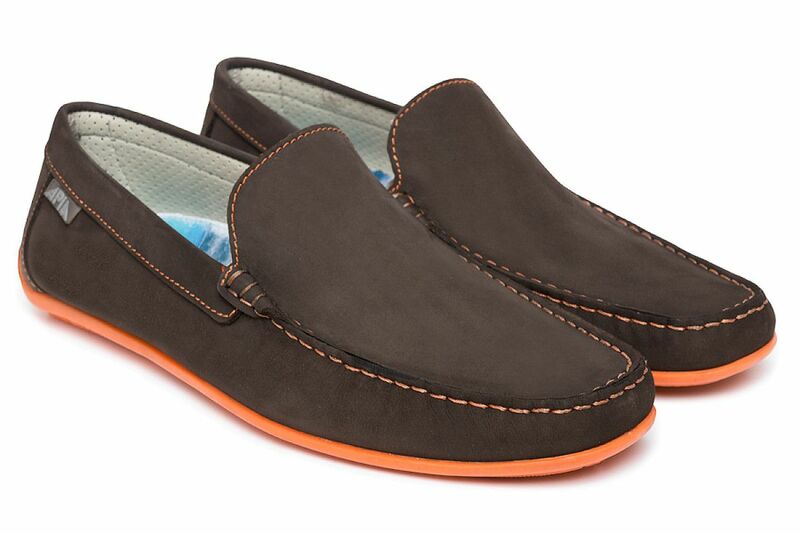 Every-day loafers that perfectly complement casual trousers and classic shorts.